Ever since PM Narendra Modi\'s impromptu meet-and-greet with Pakistan PM Nawaz Sharif, there have been signs of unrest among the opposing forces who want to thwart the peace process. Will Pakistan finally acknowledge the terror growing on its soil and take measures to stop it or thwart the Indo-Pak dialogue? That India and Pakistan share a rather tumultuous relationship is a given. Plus, the Kashmir issue is an unresolved thorn in the heel, with numerous delegate level talks being cancelled over the 'Composite' dialogue issue. The year 2015 saw numerous secretary level talks being cancelled over Hurriyat leaders' involvement and invitation, among other issues. However, the relationship thawed at the end of the year, or so it seemed. 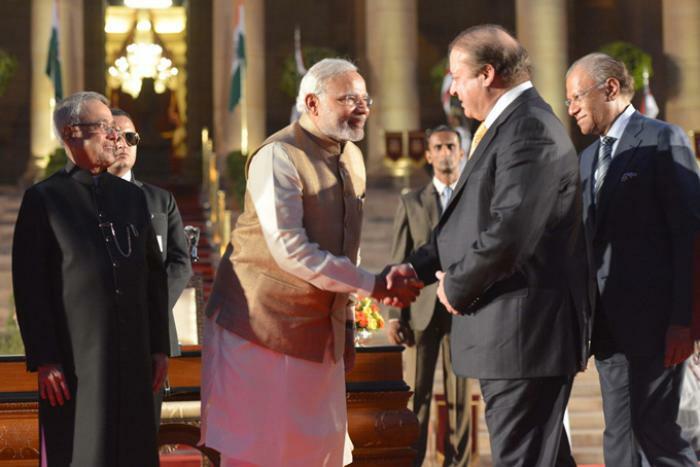 Did Modi-Sharif's latest bonhomie trigger the attacks? External Affairs Minister Sushma Swaraj visited Pakistan for 'Heart of Asia' conference in December and met Nawaz Sharif and Afghanistan President Ashraf Ghani, setting the stage for improving Indo-Pak ties. PM Modi, who had invited Sharif for his oath-taking ceremony along with other SAARC leaders, met the latter twice in 2015. Once in Nepal during the SAARC summit in Kathmandu, where a secret meeting took place and secondly at the COP21 climate summit in December. However, the rather tempestuous relationship gained mileage when Modi landed in Lahore on a so-called 'surprise visit' after visiting Kabul on Sharif's birthday. And just a few days later, we witness the cross border terror attack in Punjab's Pathankot. If this isn't the work of opposing forces that seek to thwart all dialogues between India and Pakistan, then we don't know what is. Read: Why is Sajjan Jindal fixing Modi and Sharif's foreign policy meetings? 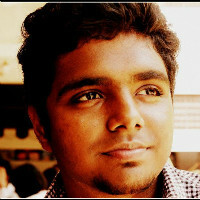 The terminology 'Terror from Pakistan soil' gained ground in 2008 after the Mumbai terror attacks of 26/11, in which Ajmal Kasab was the lone survivor. After numerous investigations, the identity and nationality of the attackers was established. Pakistan was internationally condemned for its non-committal attitude to rein in and destroy terror hubs within its confines. This was followed by other attacks in Jammu and Kashmir and Gurudaspur in Punjab in 2015. 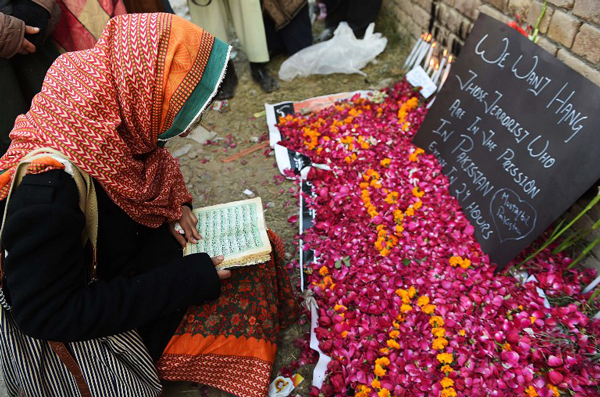 But, what really hit the nail on the coffin was Taliban insurgents attacking a Peshawar army school and killing innocent children. This incident led to international outrage and Pakistan changing its laws on capital punishment. Is India ill-prepared to handle such attacks? On 1 January, 2015, Home minister Rajnath Singh had said, "If anyone dares to cast an evil eye on India, security forces will give a fitting response. Our jawans are protecting the border with all their might. No one can dare cast an evil eye on India. Even if someone tries to do so, BSF and other security forces will give them a fitting reply." 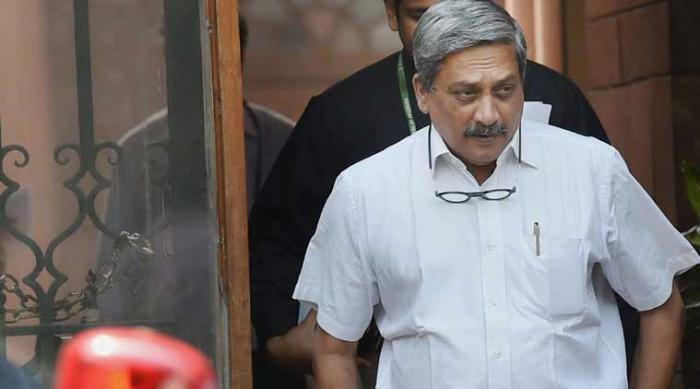 Defence Minister Manohar Parrikar had also added, "Islamabad does not seem to learn any lesson, and India's response has been more than double the capacity." With such rhetoric, we'd expect security to be more than doubled. However, in the early hours of 1 January, 2016, terrorists allegedly kidnapped a Superintendent of Police and his two companions on the Jammu-Pathankot highway and used the same vehicle to launch the terror attack on Saturday. In November 2008, 10 Pakistani men associated with the terror group Lashkar-e-Tayyiba stormed buildings in Mumbai, killing 164 people. Nine of the gunmen were killed during the attacks. The locations targeted were Chhatrapati Shivaji Terminus railway station, Leopold Cafe, Taj Mahal Palace & Tower Hotel, Oberoi Trident Hotel, Metro Cinema, Cama and Albless Hospital and Nariman House. The sole survivor, Mohammed Ajmal Kasab, was executed in India in November 2012. Nationality of attackers: Proven to be from Pakistan. On 27 July 2015, three gunmen dressed in army gear, opened fire on a bus and then attacked the Dina Nagar police station in Gurdaspur district of Punjab, India. The attack resulted in the death of three civilians and four policemen, including a superintendent of police and 15 others were injured. 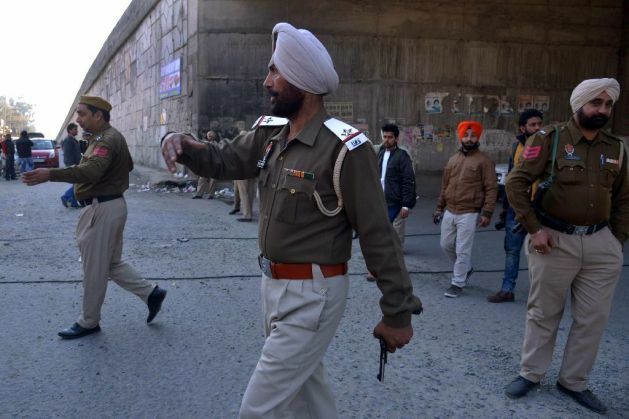 In addition, five bombs were found planted on the Amritsar-Pathankot line on a rail-bridge near Parmanand railway station, five kilometers from the site of the attack. All three attackers were killed in the operation, which lasted almost 12 hours. Here's a data sheet on how Indo-Pakistan ties have been adversely affected due to terror attacks over the Kashmir dialogue.